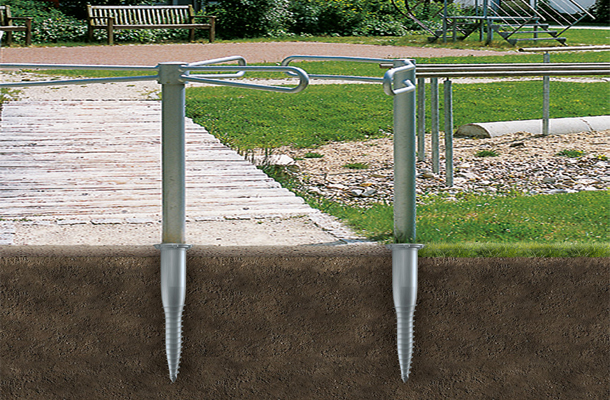 A sustainable ground engineering solution, the krinner ground screws ensure that communities and parks are free from concrete, construction and water puddles. No digging, no vibration, no ground sealing and minimal noise, as well as the recycled steel composition, ensures the ground screw is an environmentally friendly solution, installed with minimum disruption to the public. Installed in minutes, the ground screw foundation is a safe application, which will leave the landscape undisturbed.